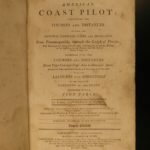 Lawrence Furlong’s book ‘The American Coast Pilot’ was the first book of American sailing directions and techniques published in the United States! While similar works had been published, this was the first to incorporate directions on the entirety of the American coastline, featuring charts of tides, latitude and longitude tables, harbor notes, and important landmarks along the United States coastline. 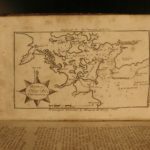 This incredibly rare fourth edition is the first printed edition to feature engraved maps and charts! Newburyport, Mass. 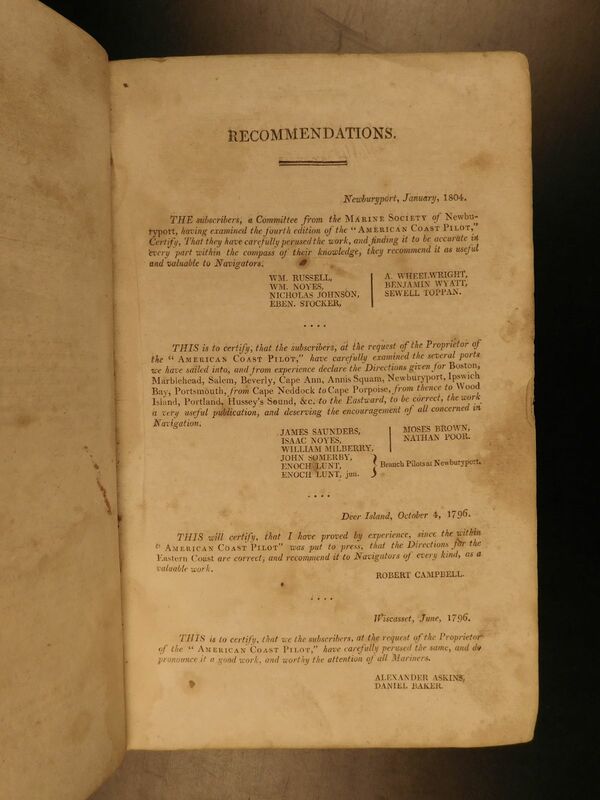 : Printed by Edmund M. Blunt, and for sale at his store, 1804.